Our Fire & Ambulance is one department which is very rare and unique. Our department and its members are a huge asset to our community. 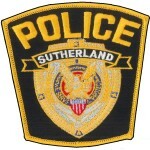 Sutherland is able to take pride in knowing we have excellent men and women ready to help our residents at a moment’s notice. New technology such as the “I am Responding” Program allows our members to respond very quickly to calls and know who else is in route to the scene or station. This is helping them respond as quickly as possible when needed. Members still have the ability to be either on the Fire or Ambulance Teams without being a member of both. If you’re looking to join our department, please speak with a current member or come to one of our monthly meetings and check it out! 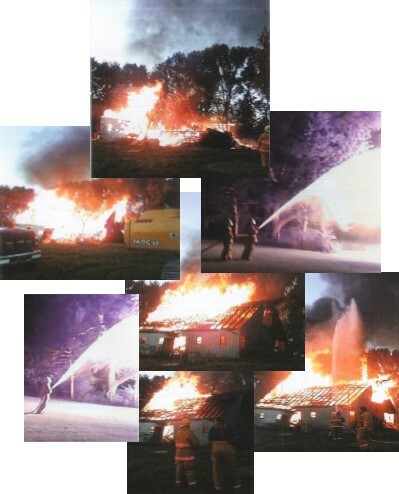 How to become a fire fighter – Fire Department members will take Fire Fighter classes as they are offered in our area. How to become an EMT – New Ambulance members will only need to take EMT classes after being with the Department for 6 months. We are always looking for new members to help serve our community! Meetings are held the fourth Thursday every month. Annual Events: Thanksgiving meal, Fireman’s Bingo, etc. 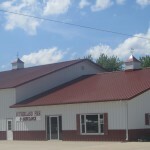 Bridges, Iowa’s eLibrary – Enjoy eBooks and audiobooks on your computer, phone, tablet or iPad. Each download earns General NB Baker Library money. A great way to enjoy reading and support your local library at the same time! Join today! Click here to connect to Bridges. 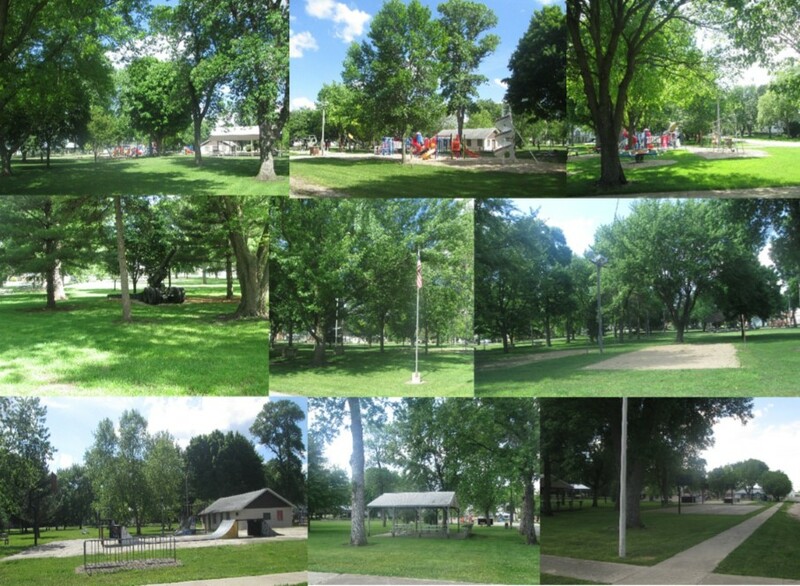 The park offers space and shade your family will love! 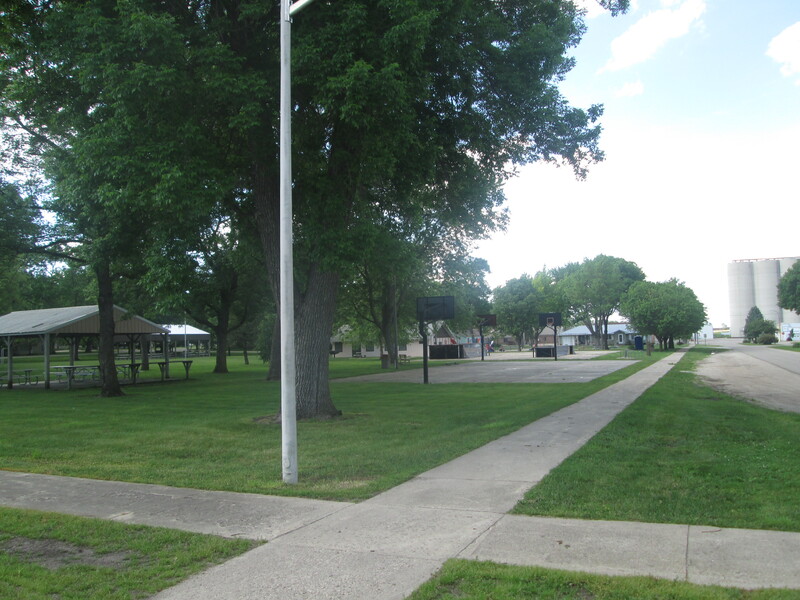 The park has the following amenities: a full basketball court, Skateboard ramps, 2 volleyball courts, 2 horseshoe areas, 2 open shelters, 1 enclosed shelter, several outdoor grills along with lots of playground equipment and plenty of space to run. Residents are encouraged to use the park for family reunions, birthday parties or any other get together where you need extra room. To rent the enclosed shelter, contact City Hall at suthcity@midlands.net or 712-446-2243. A $30.00 donation is requested for the use of the enclosed shelter. The open shelters are available anytime of the year rent free. To Donate or Volunteer – contact City Hall. 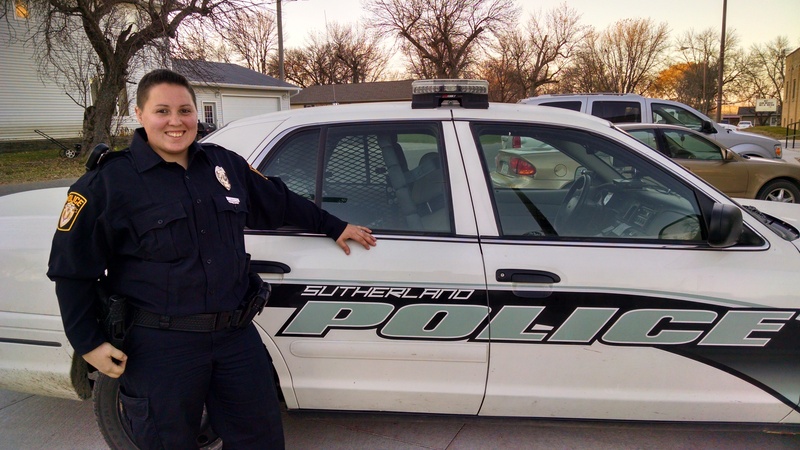 Police Officer, Jami Webster started with the Sutherland Police Department on November 1, 2016. She comes to us from Spencer, IA. She has a 4 year degree in Criminal Justice and graduated from the Police Academy on March 3, 2017. The Police Office is located at 110 Ash St in the R.L. Johannsen Center. To report a crime, in a non-emergency situation, please call the O’Brien County Sheriff’s Office at 712-757-3415 so that a case number can be created for the file and the call can be logged for future use. To report knowledge of a crime, tips or something you want the PD to be aware of, you may use the below form to contact Officer Webster. Report tips and concerns directly to the Police Department. Corey Zimmer began working for the City of Sutherland in June 2014. Click to report issues (water leaks) to city. Office Hours: Monday ~ Thursday; 8:00 a.m. to Noon & 1:00 p.m. to 4:30 p.m.
Water, Sewer, & Garbage billing is thru the City of Sutherland. The city bills quarterly (January, April, July, and October). The bill is due on the 10th of the month. If the 10th falls on a weekend or holiday, you have until 10:oo a.m. the next business day to get it in on time without penalty. Payments can be mailed to P.O. Box 8, dropped off at City Hall or placed in the drop box located in the alley to the northwest of the R.L. 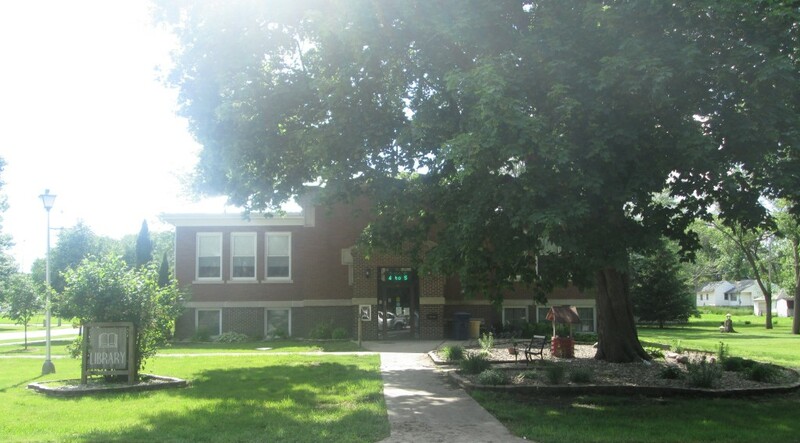 Johannsen Center. We can do auto pay’s with Security State Bank customers only at this time but are working on including all banks. The City of Sutherland also accepts payment thru GovPayNow.com, use PLC# 4568 when making utility payments and follow on-line prompts. Thursdays – have blue can out to the road by 7:00 am with the wheels toward your house. They will not collect anything that does not fit in the can. 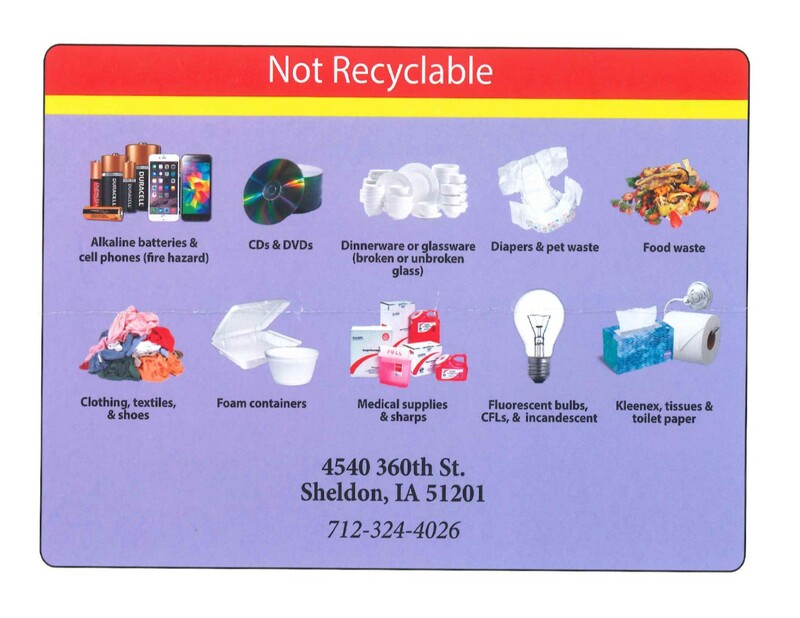 If you need to have extra garbage collected, please call Town & Country Disposal 712-472-2493 to make arrangements. They will direct bill you for this additional service. Dumpsters must be ordered directly from Town & Country Disposal. 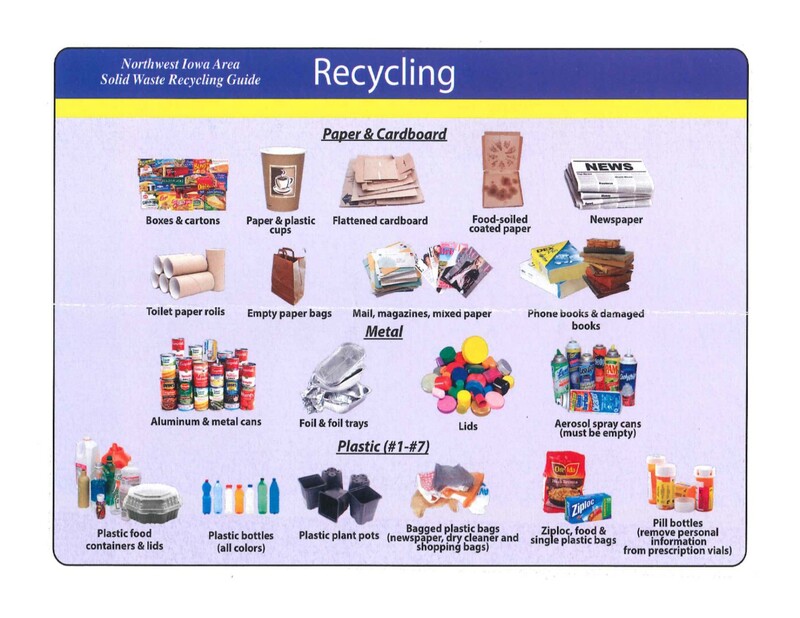 Or you may haul extra-large items to Northwest Iowa Area Solid Waste Agency. The 2nd and 4th Thursday of every month. You may use any can, except the blue, to place at curb. Allow a minimum of 5 feet between the recycling and the blue can since they are collected by different trucks.